Tired of the stacks of used pallets taking up space in your facility? If you don’t know the best way to get rid of, remove, or recycle your scrap pallets, Brampton Pallet Inc. has a way to help. We will pay you to let us pick up your used or excess pallets. We take large quantities only via truckload full. When you need scrap pallet removal in the GTA area, call a company that will not only remove your pallets but also recycle them. This is not just a great way to make some money; it’s also a great way to help the environment. Instead of constantly creating new pallets, Brampton Pallet Inc. is able to remanufacture used pallets into new products for our customers to buy. This is all thanks to businesses like yours that we can buy scrap pallets from. If you’re interested in scrap pallet removal, contact us today. If you want Brampton Pallet Inc. to come to your business to recycle your scrap pallets, just send an email with where to pick them up, how many pallets you have and a photo of the pallets. 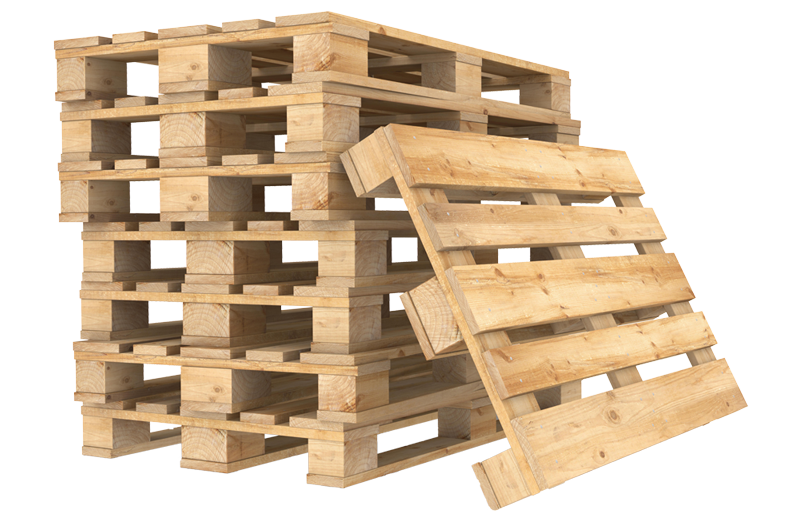 Brampton Pallet Inc. will negotiate a price and will arrange a time to pick up your business’s excess/used pallets. We provide scrap pallet removal in the GTA and surrounding areas. This is a simple and easy way for you to recycle pallets that are using up prime storage space or that are cluttering your yard. You can make a bit of cash and feel good about contributing to lessen your company’s carbon footprint by recycling your used pallets. After we pick them up, your scrap pallets go through a sorting system back at our shop, and they are categorized as good, good broken, or recyclable. From there, the pallets go to a grinder or a bandsaw. The pallets will either be grinded up into wood chips or taken apart to be made into remanufactured pallets. Any wood from pallets that are deemed good or good broken will be cut up and used to create new pallets of varying sizes. Pallets that are deemed as recyclable are grinded up and recycled as wood chips. Once the recycling and remanufacturing processes are complete, we resell these new products. Customers can order premade pallets or custom pallets that are made completely remanufactured for the cheapest cost. We also offer businesses half new and half remanufactured pallets or entirely new pallets depending on each company’s needs, budget, product type, and weight. If you want to help protect the environment in even a small way, and would like to make a bit of cash while doing so, contact Brampton Pallet Inc. We will come to you, pick up your pallets by the truckload, and recycle your pallets into new products that can be bought by other environmentally conscious clients like you.